The beautiful Kennet & Avon Canal (or K&A as its known) flows along 87 miles of the Great West Way. From Bath to Reading, it winds through quintessential rolling Wiltshire hills, bustling towns and even a World Heritage Site. Since 1810, narrowboats have drifted along at four miles an hour, plying their trade from Bristol to London. Today, you'll find a mixture of holiday and live-aboard boaters, all seeking the calm and tranquillity that comes from life on or by the water. In fact, research by the Canal & River Trust, the charity that looks after the K&A, suggests spending time next to water is good for your wellbeing. 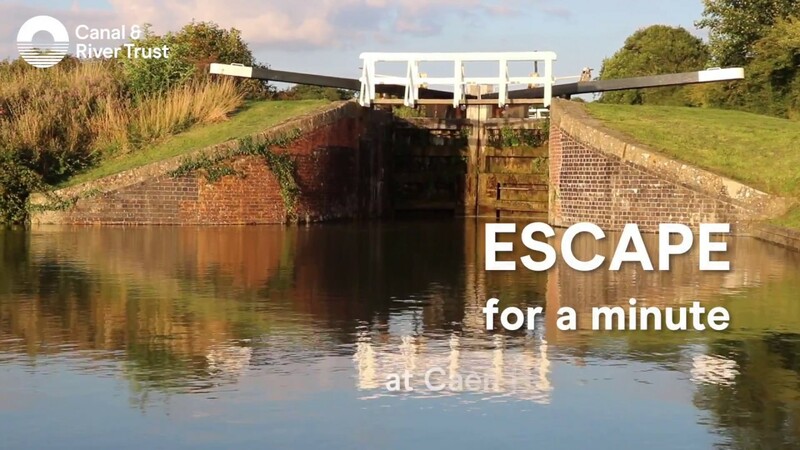 So take a wander along the towpath, paddle away on a canoe, jump aboard a boat trip from one of the many wharves along the way, or discover one of the best canal-side cycling routes criss-crossing Bath Stone aqueducts and bridges. Or simply stop, stare and take it all in. And the best bit? The K&A is free and open for everyone to use and enjoy every day. At Canal & River Trust, we believe our waterways have the power to make a real difference to people’s lives and that spending time by water makes us healthier and happier. We are the charity that cares for and brings to life 2,000 miles of canals and rivers across England & Wales. Our waterways transform places and we bring communities together to create spaces that you want to be.